On Sale Now! Free Shipping Included! 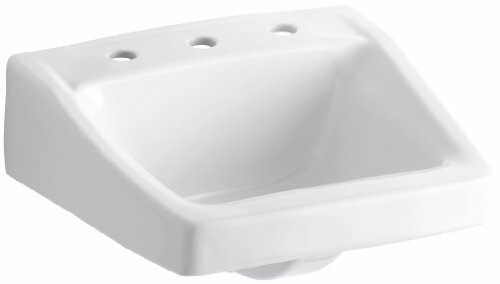 Save 3% on the KOHLER K-1724-0 Chesapeake Wall-Mount Bathroom Sink, White by Kohler at Wakaf Center. MPN: K-1724-0. Hurry! Limited time offer. Offer valid only while supplies last. K-1724-0 Faucet Holes: 8'' Centerset, Finish: White Features: -ADA compliant.-8'' centers drilling. Construction: -Vitreous china construction. K-1724-0 Faucet Holes: 8" Centerset, Finish: White Features: -ADA compliant.-8'' centers drilling. Construction: -Vitreous china construction. Warranty: -Manufacturer's warranty.